One of my favorite things about a brand-new type rating or certificate is that it gives you a new license to learn. Shortly after I obtained my commercial pilot’s license, I had the opportunity to become a flight instructor. There were many things that I came to know as an instructor. I eventually went on to use my commercial certificate as a first officer with a commuter airline flying the Beech 1900 before finally obtaining my ATP. As a pilot mentor, I commonly get asked this question from newly certificated commercial pilots, “Should I get my CFI and instruct, or head to a 135 carrier?” I enjoy speaking on this topic because I strongly believe that both pathways will help an individual develop into a well-rounded professional pilot. When I became a CFI at age 18, I was attending college and was fortunate to have a job offer at my local flight school. At that time, the 1500-hour rule had just taken effect and I knew that it would take time to build up to 1500 hours to obtain a Restricted ATP at age 21. Instructing was a great way to jump-start my career as a professional pilot. Becoming a flight instructor helped me increase my knowledge and enhanced my skills as a pilot and as an instructor. There’s an old saying out there, “The best way you learn something is by teaching it.” There is much truth in this statement because, as an instructor, you learn a lot of skills that encompass professionalism. One of those is preparation. Being prepared for your students not only helps your students but I found that as I prepared for a lesson, there were things within topics that I had not entirely understood until I studied them more in-depth in preparation for teaching. As an instructor, I enjoyed being a mentor. Students look up to their instructors, so I always tried to be positive and encourage my students during their progress. Students need to be mentored throughout their training and into their careers. For those looking to become future airline captains and leaders, make a lasting impression by leading and providing a positive team atmosphere, not only within the flight deck but among all with whom you work. 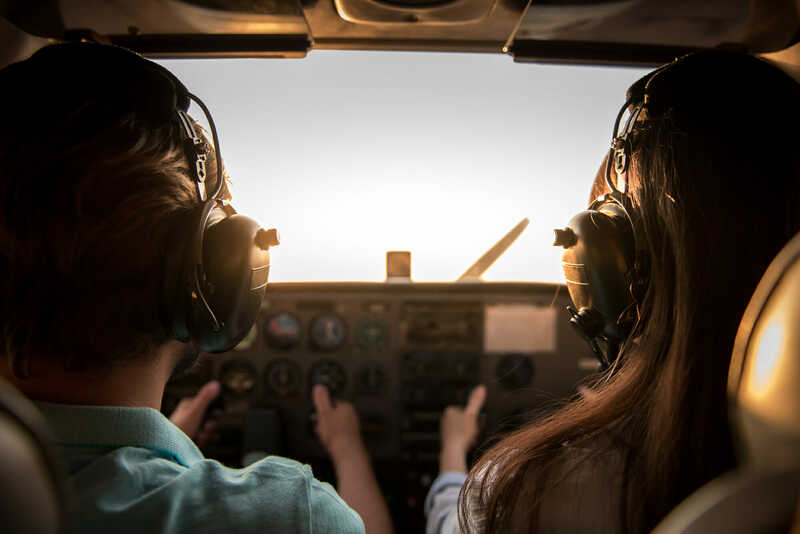 I’ve heard the argument, “Instructing for hundreds of hours around the pattern isn’t quality time.” In order to break from the routine, challenge your students and yourself by flying to another nearby airport to which you don’t routinely fly. 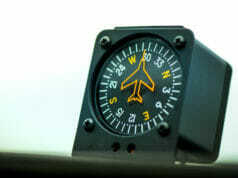 Have your students practice dead reckoning to a nearby airport 10-15 minutes away and get in some landings. Or if you’re an instrument instructor, get on with your local approach control and shoot some practice approaches. Looking back, being an instructor taught me some elements of Crew Resource Management (CRM). There are some models of CRM that I also used as an instructor including the shared mental model. As a flight instructor and an airline pilot there are certain ways we train to help create an expected standard. When we deviate from a particular expectation, we can use methods to get us back on track. By using the shared mental model, you are stating what you are anticipating. Doing this it keeps everyone in the loop. As an instructor, I always encouraged my students to share their next plan of action and I mentally flew the airplane anticipating the next sequence of events. There are definitely some good skill sets learned while instructing. 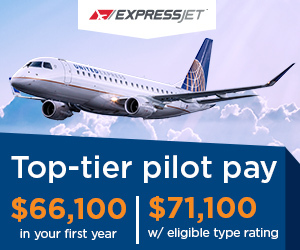 Shortly after I graduated from college, with another year before I turned 21, I still couldn’t apply with a regional carrier for a Restricted ATP. (Some pilots joke with me saying I was on the fast track.) I had been an instructor for two years with around 1200 hours, 800 of which were dual, teaching Basic VFR and Instrument for a local 141 school in the Phoenix area. One day, I received a call from one of my longtime mentors and former instructors. 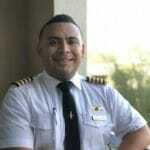 He encouraged me to apply as a first officer for a 135-carrier flying the Beech 1900. I remember the interview which consisted of a sim evaluation and technical board. I was thankful for my previous experience as a CFII since it helped me with the technical portion. The interview was very instrument-heavy. Shortly after, I was offered the job and would be flying the Beech 1900. During that first airline job, I learned so much, it was like drinking water from a fire hose. I took many of my skills and preparation with me to every sim ride and every trip. I was very eager to learn from the captains with whom I flew. 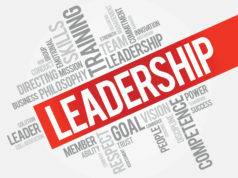 Important facets of leadership are follower-ship and being a self-starter. I saw this in a new light as a first officer. Captains were very encouraging with pre-flight and in-flight tasks and as I became more familiar with operations, I was able to get some tasks done ahead of time to help with the operation. The captains greatly appreciated this. As for the flying, the turbo prop is a great way to be introduced to airline flying. It’s complex enough to teach you about flying at higher altitudes, flying at a faster speed, and the best part, flying into new places beyond your routine $100 hamburger destinations. Fast forward six years from when I received my commercial pilot certificate; I am thankful that I stepped into each facet of aviation post commercial certificate. As a captain now, there are aspects of teaching that I still use when a first officer, new to the operation, asks me questions. Flying was a new world to my students and the same can be said for someone who has just stepped foot into the right seat of an airliner. I know it was for me. Now, I have an opportunity to mentor and lead as I did as a flight instructor. I don’t think there are any wrong ways to go about gaining your flight experience. What I hope to share is that there are different skills that are learned at each level. I hope I encourage prospective aviators to take advantage of the opportunities that are there in front of them and build upon each of them. I would like to share some advice that one of my mentors has given me; enjoy the position you are in, and remember, you are always preparing because preparation meets opportunity.